Savor 365 days of stunning sunsets and expansive, beachfront views at Sunset Pointe at Collany Key, luxury beachfront condos located on the exclusive, deed-restricted island of Tierra Verde, Florida. This rare piece of property located directly on the Gulf of Mexico features a newly constructed 3 bedroom, 3.5 bath, 2,700+ sq. ft. gated condominium community with 2 balconies, state-of-the-art appliances, semi-private elevator, private beach, resort-style pools and spas, fitness rooms, outdoor kitchens and pavilions, kayak launch, and meticulously landscaped nature trails surrounding the property. Opulent penthouse suites with 5,400+ sq. ft.of living space and panoramic views are also available. For many high-end condo buyers, nothing can beat the urban buzz of downtown St. Petersburg and especially Beach Drive. Then there are those who would rather walk along a real beach instead of a row of restaurants. Who would rather see a pelican out their windows than the pilings of a $75 million pier. 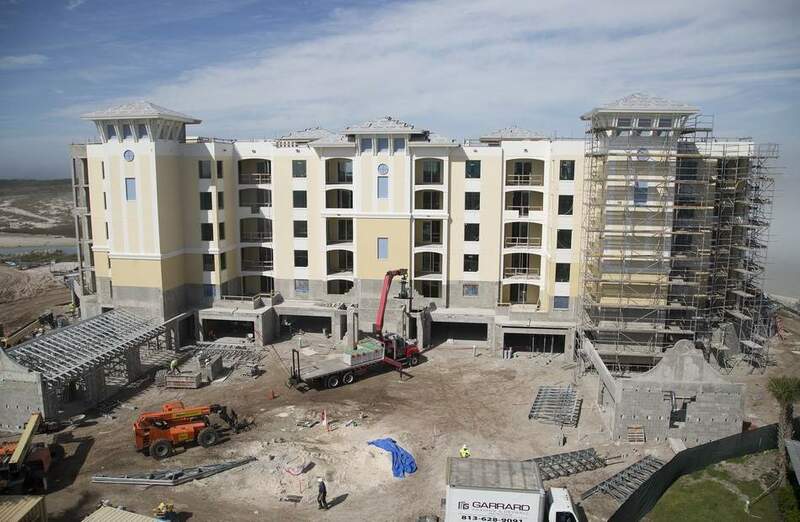 Those are the kind of buyers drawn to a place like Sunset Pointe at Collany Key.